Food photography tips, community, and information. Hey, it’s ‘rouk here, and (I’m guessing) I’m like you, because I am fairly new to food photography and styling. After I became interested in food photography and styling, I started searching the internet for tips on how to actually jump in and do it. What lens do I need? How the hell do I work these manual settings? How the f*** does anyone figure all this stuff out!? I was overwhelmed by the amount of information available, but eventually found the answers to all of my questions, and didn’t want anyone else to go through the long process of finding them. This e-book was a first step into providing a good set of food photography tips, but I envision Beyond The Eats becoming so much more. I’m hoping I can interview food photographers to get specific questions answered, continue to curate good tips, receive guest posts, and do whatever else I can to give people good information around food photography & styling, all while I learn and have fun with it too. Is it just me, or is being new to food photography and styling confusing as f***? Manual settings, composition, using light in a million different ways, getting the right equipment etc. Going from seeing these beautiful photos of food to actually trying to capture them is a leap to say the least. I’m assuming you’ve either been there too, or are at that point now… Searching the internet for answers to certain questions, finding some very useful bloggers, and slowly finding the answers to your questions, although you still don’t feel like you know enough to pick up your camera and start shooting. The first was that I started to think about other people who are new to food photography, and how long it would take them to find these useful tips. The second was that I started to appreciate all of the information around food photography that people put out there for FREE on their own blogs. As someone who runs a blog myself, it was easy for me to appreciate their hard work. That’s how the idea of a food photography section on Beyond The Eats came along. I had a problem that I thought I could help others avoid. The next step was to create some type of asset that I could introduce myself to people with, and after some careful thought, I decided to start with this e-book for two reasons. To help anyone who’s new to food photography learn a large set of essential tips in a short amount of time. To highlight members of the food photography community who are providing great information. I hope you can use this e-book to give you some clarity along your food photography journey, or that it just teaches you some stuff you didn’t know before. I’m also open to collaboration in different forms for anyone who would like to share food photography tips, so do not hesitate to reach out! Last but certainly not least, if you enjoy this guide please share it. My name is Farouk (rhymes with Luke), but most of my friends and family call me ‘rouk for short. I live in Brooklyn, NY, and I am a digital marketing enthusiast. After searching for interests outside of marketing, food is something that peaked my interest quickly, so naturally, I decided to use my knowledge of digital marketing to keep track of my journey around food on Beyond The Eats. Last year, I didn’t know much about food besides how to eat what is on the plate in front of me. I started to study food, the cultures involved with it, and what it means to different people as what food is about gained a whole new meaning to me. I still have a whole lot to learn about food, and the thought of everything I’d like to know is intimidating at times, but luckily I have a strong interest, a lot of places to learn from, and a place to track it all along the way. What is Beyond The Eats? 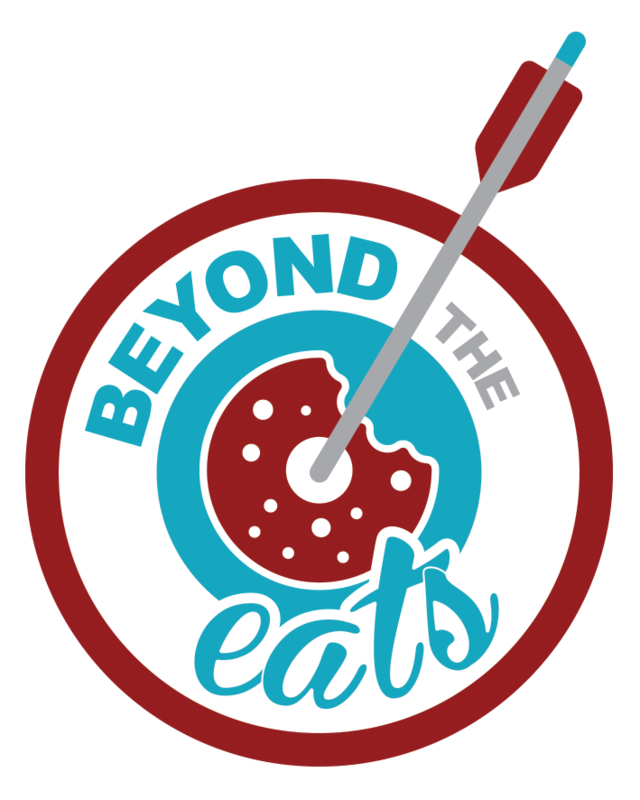 In December of 2015, I launched a website called BeyondTheEats.com, and my motto is “sharing stories, experiences, & learning through food”. I started this blog as a place where my love for digital marketing, helping others learn, and food can all co-exist. I edit and shoot the videos that are on the ‘site, write content, and design all my graphics. At times it can feel overwhelming, but I enjoy everything that comes with it as well as the continuous learning process. What does “stories, experiences, and learning” mean? Stories are the journeys of restaurant owners, chefs, farmers, & anyone else I can think of who works with food in an interesting way. This is where the idea for the site started. I felt that someone needed to capture more of these stories and share them with the world, so here’s my shot. Experiences are food events, blind taste tests, and any other fun outings I can think of that have to do with food. This is the portion of my website where I just have fun, and honestly, this is a place where anything can happen. Learning is simply learning about food in different ways. This includes but is definitely not limited to the the history of different foods, culture, & food photography. It took me a long time to arrange my ideas for this section, because I want it to be a place where you actually look forward to visiting to learn new things about food. Before fully diving into this thing, I’ll mention some other cool food photography guides and people that cover a whole lot of topics. No curated food photography post online would be complete without mentioning Rachel from Two Loves Studio. If you’re just getting started with food photography, her website is a GREAT place to start, get acquainted, and take a look around. I think her “99 food photography tips” post is a great place to start. I have personally spoken to Rachel, and she also spoke during my Food Photography Summit, So I wholeheartedly encourage you to head her way with questions about food photography. In this guide, you’ll find more than 60 tips from over 30 food photographers across the web, but there were two sources that were very helpful throughout the process. The first is Christina of FoodPhotographyBlog.com, and the second is Aparna of My Diverse Kitchen. Highly suggested! 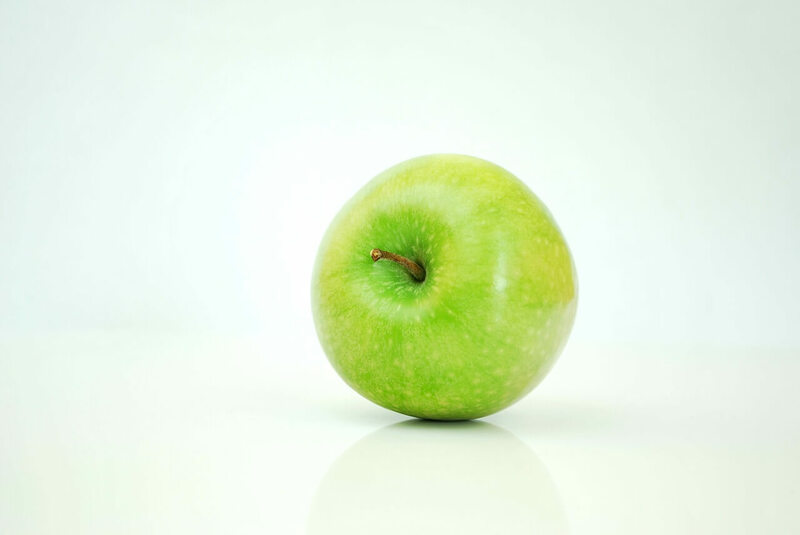 Below are links to some larger all encompassing food photography guides. This guide from Cookie & Kate covers tips for taking great food photos such as “minimizing clutter” & moving around to find the best light source. It also includes tips for troubleshooting, which cameras you can use for food photography, lenses, recommended software, & where to buy food props. Taylor Takes a Taste also provides a series of food photography related articles that will help you start quickly. These essential articles cover topics such as “$5 fixes for your food photography” and “how to choose an aperture for your food photography”. But wait, there’s more. They also offer a FREE PDF file that contains 9 mini-lessons that will help you instantly improve your food photography! Enjoy. As if I didn’t already love Serious Eats, they released this excellent article titled “The Serious Eats Guide to Food Photography”. Among many other topics, this guide covers lighting, composition, manual settings, post-processing, and even styling! This is a must read. This guide from Sally of “Sally’s Baking Addiction” titled “Food photography basics” covers manual settings, equipment suggestions, and general tips. The article is clearly articulated and I assume that spent a lot of time putting it together. Christina from FoodPhotographyBlog.com created this detailed e-book with over 30 food photography tips for bloggers. As aforementioned, she also has a lot of information on her website in general that will help to make shooting food photography much easier for you. Charlotte from Charlotte’s Lively Kitchen published this great piece that contains 15 general tips for new food photographers. Charlotte managed to pack in a lot of good information in a short time. This section will help you to find out what equipment you actually need, how much you should spend on it all, how to set it up, and walk you through a special shooting technique. Melissa from Eyes Bigger Than My Stomach blog created this list of 5 essential items for every food bloggers photography kit. In it, she lists 5 items that she feels are essential for food photographers to bring with them to every shoot. She assumes that everyone reading owns a camera, so her suggestions are mainly around accessories. He also covers more specific topics like the camera, lighting, and tripod he uses, and even touches on some styling tips. How to save money on some of the necessary equipment. Dana & John from The Minimalist Baker wrote this post that includes different food photography setups for $500, $1,000, $2,000, & $3,000! So cool. Within it, they do a great job of looking out for everyone from the beginner who’s not sure what to buy, to the pro who’s looking to upgrade their equipment. I’m not sure about you, but it took me awhile fully understand lenses functionally. They vary in cost, quality, & many other factors, which makes it almost necessary to get information about them from the right sources. The resources below will help you navigate the world of lenses. One of my favorite posts on lenses comes from Christina of Food Photography Blog. This article titled “what lens should you use to shoot food” goes into madd detail around the difference between different lenses, and also has great images that make it easy to follow the examples throughout. Shiran from Pretty.Simple.Sweet published an article titled “The Best Camera & Lenses For Food Photography”. In this article, she writes about the difference between zoom, prime and macro lenses, reviews a couple of DSLR cameras, and gives some general good advice for choosing lenses. It’s not specifically focused on food photography throughout, but Tracy of The Things We’ll Make wrote this article titled “Choosing The Best Lens For Food & Still Life Photography”. This article includes topics such as choosing lenses, their prices, and investing in your food photography the right way rather than diving in head first. Tiffany from Peanut Blossom blog writes about what she’s learned is the best lens for food photography over time. I love this post because it is written from her perspective of years of trial and error and I love learning from other people’s experiences. What does the set-up look like for a food photography shoot? In this article, Ashley from Edible Perspective gives us a look into her food photography studio setup. After reading through this, the way food photos are shot made way more sense to me. She goes into detail about her equipment, her setup, and what she thinks you must have. David from “I Bake He Shoots” created this useful 2 part article titled “How To Setup A Food Photography Studio”. in part 1, he mentions accessories like the table and surfaces you need, before going into more detail around equipment in part 2. 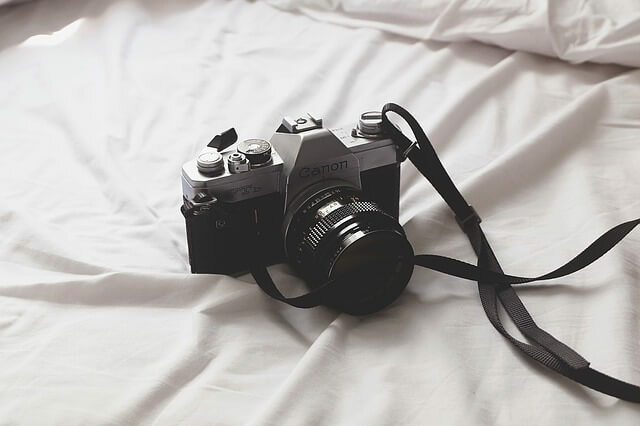 Kylie of “Yeah Imma Eat That” (how can you not love that name), published an article titled “My Food Photography Setup” that has a few items she’s gathered over the years, and explains what she has found works best for her. After looking through 1,000’s of food photography images, it’s clear that the overhead shot is something you must be able to do, but how do you do it? 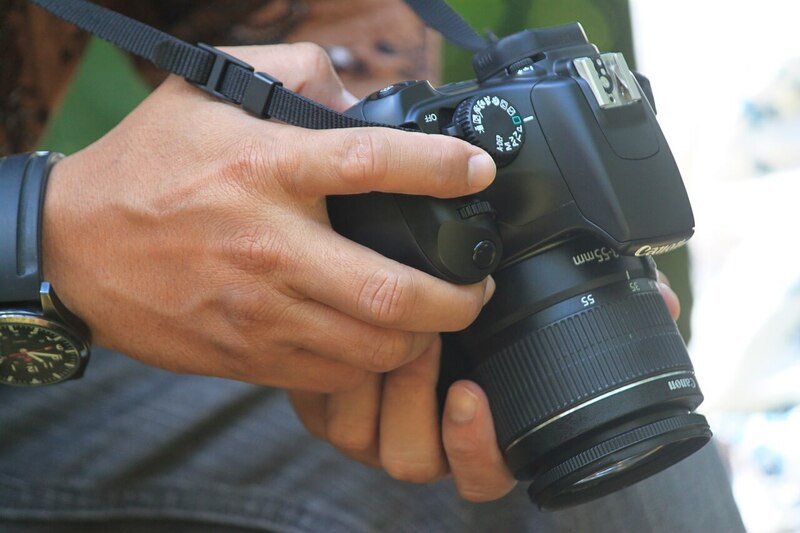 Christina from Food Photography Blog gives an easy solution, and it’s an accessory called a lateral side arm. Read about it in her post titled “The Easy Way to Do An Overhead Food Shot” . Aparna from My Diverse Kitchen gives a deep explanation of why the overhead shot is necessary for food photography in this post titled “Overhead Food Shots – A View From Above”. LIGHTING. I’m pretty sure it deserves all caps. It seems that important because it is always highlighted as the main tip to shoot good food photography. I can feel the whole food photography community screaming USE NATURAL LIGHT at me right now actually. This article in Layers magazine titled “Strobe and Natural Light Food Photography: Four Setups” shows us 4 different lighting setups. Natural light, bare bulb, shooting through an umbrella, and using a large softbox. You could argue that this one article covers all of the lighting basics. Mandi from Making Nice In The Midwest published a great article on the topic titled “Lighting Tips & Tricks For Bloggers & Photographers”. Mandi goes into full detail about her personal set-up, and gives different photos to show the differences between natural and artificial lighting. Unfortunately, Natural light isn’t always available. In these cases when there isn’t any natural light, you need to “create” the illusion of natural light through using artificial lighting. There are different ways to produce artificial lighting across many different price points, and the resources below will help you gain some perspective around cost and quality. In this article, Lindsay from Pinch Of Yum breaks down how to use artificial light to shoot your food photography, and the equipment you need. Within the article are plenty of pictures and an easy to follow narrative to help you along the way. Christina from Food Photography school strikes again. This time, she gave us a dope article titled “Food Photography Lighting – Easy Artificial Side Lighting”. In the article, she covers the equipment needed, how to set it up, and an explanation for why artificial lighting may be better than using natural light. Stephanie from Eat. Drink. Love. published this great post that covers using white reflectors, artificial lighting, & foam boards to help improve your photography. In this article, Trisha from Eat Your Beets covers “Tips For Shooting Low Light Food Photography”. Not only does Trisha clearly show what she means by using images to explain, but she also goes into detail around topics like how to embrace shadows and find the proper light source. Save some bucks on artificial lights. Taylor of Taylor Takes A Taste published this tutorial that shows you how to put together a food photography lighting setup for 15 bucks! Mary of Fervent Foodie even tried it and loved the final result. How to create an inexpensive light box. Chris from Shared Appetite published a piece titled “Take Better Food Photos: Build A Light Tent”. Within it, he shows you how to build your own light tent for 25 bucks! Here’s another post by Radhika from Food For 7 Stages Of Life that shows you another way to make a light box for $43. Clutch! Finally, this great article from Never Homemaker covers how to build a light box in FULL detail, the pictures of her building it look like so much fun that you’ll want to do it too. 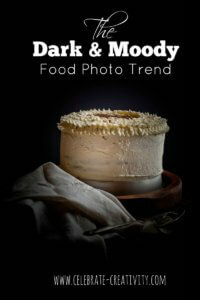 “Dark & Moody” photography has a darker background and feel, which can really bring out the vibrant colors in some foods. It seems to be gaining popularity and is something that seems like most food photographers should have some level of familiarity with. 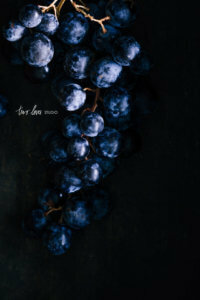 Rachel from Two Loves Studio created this awesome tutorial titled “How to guide: Create dark food photography with just a box” that covers dark and moody well. In this first article titled “A Trend We Love: Dark Food Photography”, Stacey from YuppieChef.com dsicusses why she likes dark food photography, the impact it makes, and gives some tips on how to shoot it. Nancy from Spicie Foodie shows us how to set up artificial lights to shoot dark food photography. I found this interesting and I could not resist including it because most tips typically cover dark food photography or artificial lighting, while this one covers both for a win-win. Regina from Leelalicious covers dark food photography shooting and post-production in this visual piece titled “How To Make ‘Dark And Moody’ Food Photography”. The images are crisp, clear, and easy to follow, making this is a must see! Bonus: Brooke from Cheeky Kitchen published this YouTube video that covers the 5 essentials of dark food photography. To get that exact look you’re aiming for in your food photography, you’ll have to use manual settings. Manual settings control a lot of different things, some being exposure, depth of field, and overall image quality. The tips below will help you transition into using these settings, and how to use them to achieve whatever look you’re aiming for. How high quality can your image be? 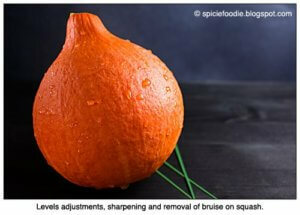 Christina from Food Photography Blog published two great articles covering ISO. The first covers What ISO is and how it works, and the second goes into further detail in a separate article titled “When To Change Your ISO Settings For Exposure ”. Johlene from Flavors & Frosting explains why you should try and start at the lowest ISO setting in this post. She also mentions a couple of her own personal tips for experimenting with camera ISO. Those photos with the background blurred perfectly, how you do that?! 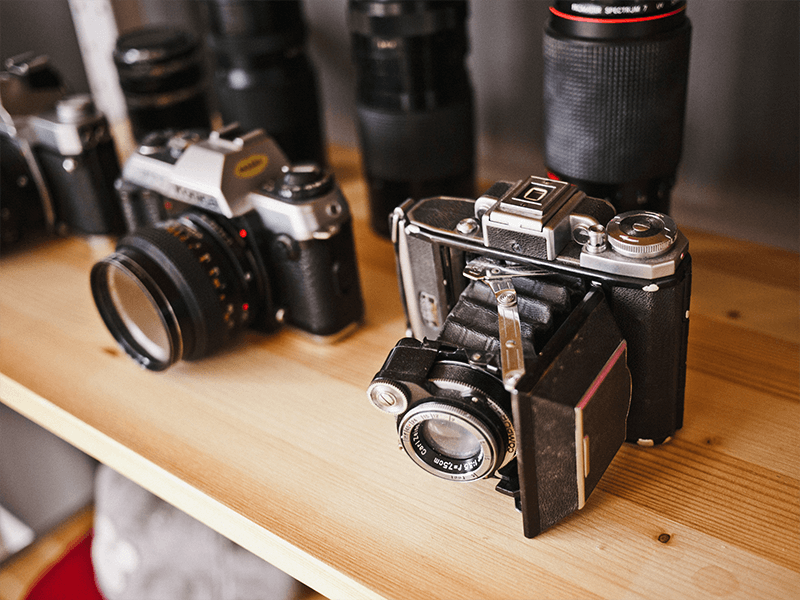 Dana from Minimalist Baker published a great article titled “How To Use Aperture To Improve Your Photography”. She covers what aperture is, what it does to your photos, and also gives examples that are easy to understand. Aparna from My Diverse Kitchen created a detailed tutorial around what aperture is, and how it ultimately affects your depth of field. I highly recommended that you check out both this article and the last from Dana. They’re informative and make the topic clear. If you’re more into visual learning, this YouTube video gives a good overview of what aperture and focus are as more of a demonstration. How does it effect your photos? Food Photography Blog is back with an explanation of what shutter speed is, and an explanation of the relationship between shutter speed and aperture. This is a good place to start if you want to gain an understanding of shutter speed that will allow you to alter your photos in a better way. Aparna from My Diverse Kitchen gives a detailed article of what shutter speed is and how it works. I like this article because she gives many examples, and explains each of her points very clearly. She took her time while writing this post. One specific thing that can be achieved by using shutter speed correctly is capturing steam from hot food. I’ve always thought this effect looked so cool, and wanted to know how people get that look right. Luckily, Ashley from Edible Perspective has us covered with this tutorial. Those pictures that are too yellow or too blue are just gross if we’re being honest. Luckily, those problems can be a thing of the past once you understand white balance. Stephanie from Sustaining The Powers published a great article titled “Why White Balance Is So Important For Food Photos & How To Adjust It”. In the article, Stephanie gives examples by using her own progress as a food photographer, and she even shows you how to fix the white balance in post production if necessary. Nancy from The Spicie Foodie published a great tutorial on what white balance is, that is demonstrated through multiple pictures. This is a great article to see if you need visuals to really understand the subtle differences in white balance. Here’s a great video From Billy Law that explains how to adjust your white balance using Adobe Lightroom. In the video, he takes a VERY warm photo and uses lightroom to make it look like it was taken using natural light. Can you tell that I was slightly amazed? Sabrina from Dinner, Then Dessert mentions using an accessory called a white balance filter, and shows the result of using the filter. Unfortunately, you can’t place your food in front of the camera and hope for the best. You should be strategic about where you place items when framing your food photography if you want to get a dope photo. Ramya wrote this dope in depth article on Cucumbertown, and it’s pretty much everything you need to know about composition within one article. She writes about how to use colors to make food stand out, using white space, and she even shows the process of how she uses composition to transform an example image step by step. This article by David from I Bake He Shoots covers composition related topics like how to use a foreground, middle, and background, why triangles are your friends, and why you should “keep things small”. This article helped me get a fast understanding of ways I could possibly position items within my food photography to create a more appealing photo. Jennifer from Foodess gives 5 good tips for achieving good composition in food photography, including using negative space and using the rule of thirds. All 5 are tips that can be used to improve your food photography. Samantha from Samantha Seeley gives this list of 7 composition tips that include some great visual examples. Skyler from We Eat Together created two YouTube videos that also walk you through how to get a more noticeable composition. 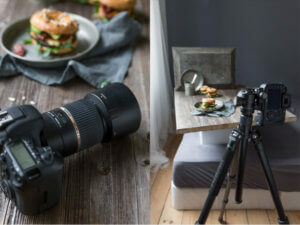 The first is titled “Top 5 Ways for Improving Food Photography Composition” and the second is titled “Food Photography Composition, Styling To The Camera”. 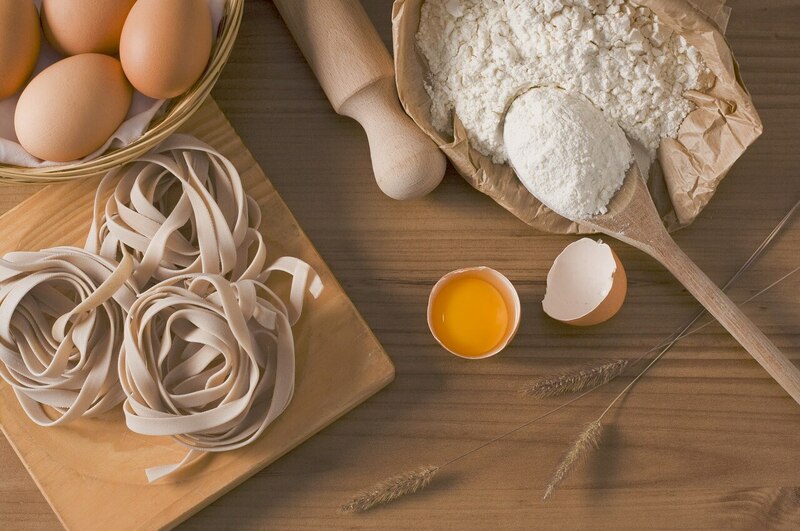 Food styling can be a complex topic. With all of the options available for props, combined with your own personal style, food styling can be difficult. Luckily, there are a few helpful resources that can help you begin to navigate the world of food styling. Serious Eats released this article titled “Food Styling 101: Pro-tips To Step Up Your Game”. Within it, they not only explain what food styling is and the goal of food styling, but they also explain how to approach food styling overall. This is a good place to start. Rachel from Two Loves Studio published this post titled “The Most Important Tip For Food Styling (the three c’s)“. Within this post she covers what she feels are three things that you must remember. Alida from Simply Delicious Food gives us 10 great food styling tips, including embracing the elements of art, and choosing your desired mood. Nicole from Seasonly Creations created this list of 20 essential food props that you can get for under $15. You can use this list as a starting point if you’re looking to start a collection of props you use to shoot food photography. This guide from Christina of Food Photography blog gives a great explanation of exactly what props to look out for and where to buy them. She covers topics like where to get antique items, silverware, search terms to use to find props and more. In this article titled “10 Food Styling Tips To Make Your Food Photographs Look Delicious”, Katie from Styling My Everyday gives a different set of tips to make your food photography come to life a little more. After you shoot your food photos, they need to be edited to really bring out the features of the photo and set the desired mood. While most photographers prefer Adobe Lightroom, I was able to find tutorials for editing your food photos in both Adobe Photoshop and Adobe Elements too. In this post titled “How To Edit Photos In Photoshop”, Katerina from Diethood shares her personal process of how she edits photos using Photoshop. She mentions that this isn’t THE way to do it, but just her way. 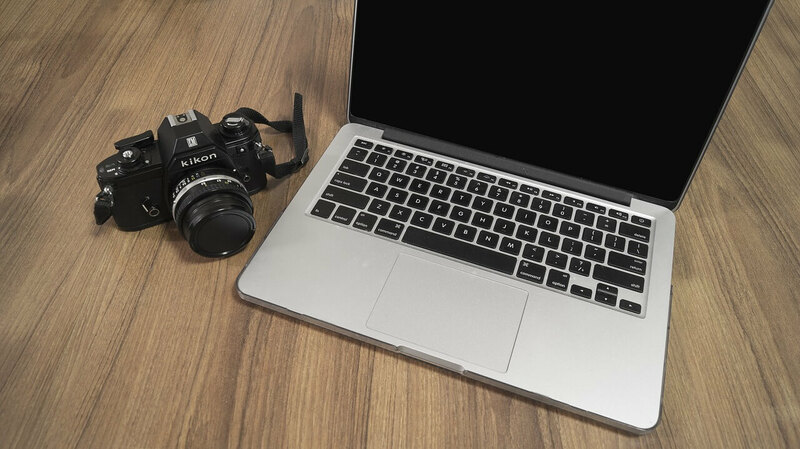 Incase you’re looking for other options, Dara from Cookin’ Canuck blog not only shows you how she edits photos using Adobe Elements, but also gives some general good tips around food photography in the process. In this post, Melissa from Eyes Bigger Than My Stomach covers some tips that you can use to make post-processing a little more easy. Although this post doesn’t specifically cover how to edit the photos using Adobe Lightroom, she published another post titled “Blueberries & A Basic Food Photography Post Processing Tutorial” that goes into detail around editing in Lightroom specifically. Do it for the ‘gram.. Many professional food photographers say that your iPhone is a great way to start shooting food photography. Whether you’re looking to capture food photos at home or while out at your favorite restaurant, this section has got you covered. Shooting food with your iPhone could be its whole own e-book. In fact, Nicole from Seasonly Creations created a whole e-book on the topic that you can download here. 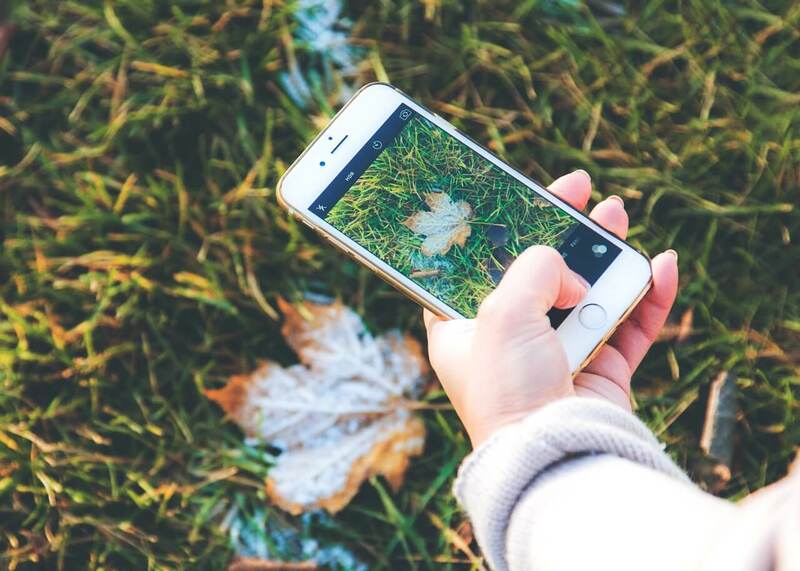 Besides the full e-book mentioned above, here are 5 iPhone food photography tips by Diane from Balanced Bites. The majority of other information I found around using the iPhone for food photography was fairly similar. Thank you for reading through this e-book, and I hope you learned a lot from it. I imagine this to be a small sample in comparison to the amount of information around food photography that I’ll have in the future, so stick with me! I’m open to collaborating with people who would like to share food photography tips in different ways, so don’thesitate to reach out to me at BeyondTheEats.com via my contact page or @BeyondTheEats on Instagram/Twitter/Facebook/Pinterest.